Growing up without a father, Pritchett started caddying at the age of nine in Houston, Texas. In 1963, Walter heard from some traveling caddies that he could work on the PGA Tour and thought that was something that he would like to do, and he was right. Walter was into his sixth year working on Tour when his travels took him to Atlanta, Georgia where he met his wife and s ettled down to raise his family. During his tenure on TOUR Cricket had 4 wins but his fondest experience happened in 1971 when he won the Masters with Charles Coody. Cricket just knew Coody was going to win so he took off from work under the guise of finishing up some business in Texas, and instead, headed to Augusta National Golf Club. He wore a towel over his head so his boss wouldn?t recognize him and realize he?d skipped work. Pritchett has never lost his love for the game and recommends that any young person who has the opportunity to do so, should get involved with the game of golf. Klein is a former PGA Tour and club caddie and a longtime advocate for caddies worldwide. 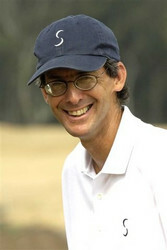 A respected golf industry leader, Klein is the architecture editor for GolfWeek and founding editor of SuperNews. He is author of 'Rough Meditations: from Tour Caddie to Golf Course Critic, an Insider?s Look at the Game' where he devotes an entire section to caddying and the history of caddying. PCA Worldwide was honored by the fact that a majority of the caddies mentioned in Klein?s book are former inductees in the PCA Worldwide Caddie Hall of Fame. Klein owes part of his success to caddying. His hard work and determination qualified him to become a recipient of the Long Island Caddie Scholarship Fund in 1971, which enabled him to attend college and earn a B.A. and eventually a Ph.D. in Political Science. While in graduate school and even afterwards, Klein caddied on the PGA Tour, 1976-1986. He has combined his love of golf and writing in form of numerous articles, not only about course design but often about caddying. Besides His book 'Rough Meditations' he is the author of four other books, including 'Discovering Donald Ross,' which won the USGA International Book Award. Klein, is an expert in golf course architecture and at Golfweek he oversees the 'Golfweek's Best' golf course rating program that publishes annual lists of the top-100 Classic and Modern courses. 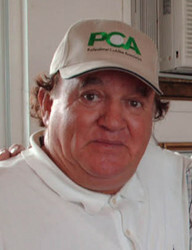 He is a frequent keynote speaker at allied golf association meetings in the United States and Canada. Stokes worked at Berckman Nurseries before the grounds were converted into a golf course and became Augusta National Golf Club. Often referred to as 'The grandfather of caddies' at Augusta, Stokes was also known as the man who knew how to play the greens. He was able to read the course from the fairway and tell you which way the ball would roll and how far from the hole it would be when it hit the green. He taught the young caddies how to play the course and how to club their man. At age 17, Willie "Pappy" Stokes was on the bag of his first Masters win with 1938 Champion (Henry Picard), and again in 1948 (Claude Harmon), 1951 and 1953 (Ben Hogan) and 1956 (Jack Burke Jr.). Stokes was the only man to have caddied for four different Masters champions. Martinez is a former PGA Tour caddie who holds a degree in Mechanical Engineering. He was born in Buenos Aires, Argentina in 1941, hit the ground running and has not looked back. He now lives and works in the U.S., where he became a citizen in 1973. Martinez has caddied for more than 27 years, from country clubs in Argentina to working five different professional golf tours. He is also a former Argentine Olympic soccer player, and was recruited by the Miami Dolphins as a place kicker at the age of 34 making him perhaps the oldest rookie drafted in NFL history. He has also worked as a draftsmen/civil engineer for Jack Nicklaus design firm. During his caddie career, he worked for Gene Sarazen, Ben Hogan, Gary Player and Jack Nicklaus. Martinez serves as an incredible role model for every caddie, including those in the PCA Hall of Fame. Caddie & Coach for the Challenged Golfer with special needs. Barousse is the Caddie & Coach for Pat W. Browne Jr., a talented golfer who happens to be blind. He has been working for the past 21 years as a caddie and coach and has numerous wins and top-ten finishes under his belt as coach for competitor Pat Browne. The most memorable moment was in the U.S. Blind Golf Association National Championship Tournament held in Greensboro, NC., when Barousse and Browne won the event. In the early 90?s Brown and Barousse went head-to-head against Payne Stewart at an an exhibition in Orlando, FL. Stewart played 9 holes completely blindfolded and shot a 62, while Browne and Barousse shot a 42. Browne contributes his success in great part to the help of Barousse and believes he's the number one caddie/coach in the field, and certainly one with the biggest heart. Kevin Sullivan, caddie for William McMahon who competes regularly in United States Blind Golfers Association events, has become more than the caddie, he is also a coach. Sullivan met McMahon at a Lions Club tournament in MA., and was so impressed with his ability as a blind golfer, that he offered his guidance on and off the course. They hooked up with PGA Professional Kurt Sokolowski and have logged impressive wins in tournaments across the country for more than 13 years. Sullivan has definitely found his calling in being a caddie/coach. He has had the opportunity to help train and mentor blind golfers of all ages and participates in fundraising activities across the country that benefit golfers with disabilities. Douglas Ellsworth gives back to others as camp director at the Sankaty Head Caddie Camp, the last remaining caddie camp in the United States, and possibly last remaining in the world. The camp is for boys between the ages of 14 and 16 and teaches them (under the guidance of the camp staff) how to gain the necessary skills of self-support, self-direction and the ability to reach out to their communities. The camp is situated between two fairways on the Sankaty Head Golf Course on Nantucket Island in Siasconset, Mass. It?s there you?ll find 60 caddies, six junior staff members, a caddy master, and its respected camp director, Douglas Ellsworth. According to Ellsworth, the camp participates in two educational scholarship programs: The Norman L. Claxton Educational Scholarship and the Roy E. Larsen Education Scholarship, established by the Sankaty Head Foundation. Through the leadership of Ellesworth and with the help of Camp Sankaty faculty, students are instilled with the skills of responsibility, honesty, integrity, money management, all necessary for young folks who are preparing themselves for the business world. Ellsworth believes the motto of the alumni association states it all: Summer Experience?Lifetime Memories. The camp experience is about forging healthy, win-win relationships that will last a lifetime. 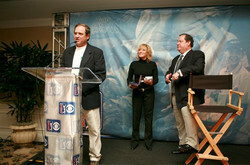 Mary Ann Sarazen and The World Caddie HQ- PCA Foundation officially announced the First Gene Sarazen Spirit Award Winners for 2006 during the PCA Caddie Hall of Fame ceremony at the 2007 PGA Show in Orlando, Fla. The award recognizes those who have embodied the kinds of life and social skills that Sarazen, a former caddie, embodied during his great career in golf. "Golf and caddying were much more than a game to my dad," said Mary Ann Sarazen, president of the Gene and Mary Sarazen Foundation. "He would say they build character in the heart and soul," she added. Gene Sarazen, the son of an immigrant, got a modest education through formal schooling but a world-class education through caddying and playing the game of golf. That education allowed him to become an international figure in the sports world as both a competitor and as an ambassador for the game. He was the first professional golfer to win all four modern majors, including the U.S. Open (1922, 1933), PGA (1922-23, 1933), British Open (1932) and Masters (1935). and U.S. 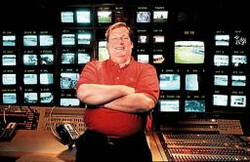 He retired to his farm in New York but was enticed to become a television celebrity on Shell's Wonderful World of Golf. All of this because of being introduced to caddying. The GENE SARAZEN SPIRIT AWARD for notable people who started as caddie will host two divisions: Player and Business In the Business Division, PCA will induct Lance Barrow of CBS SPORTS during the 2007 AT&T Pebble Beach National Pro Am. In the Player Division, PCA will induct ROBERTO DeVICENZO, BYRON NELSON, CHARLIE SIFFORD, BEN HOGAN, LEE ELDER, SAM SNEAD at separate ceremonies in their respective home towns.
" We have walked for over 500 years and a along way to get here for the kids and the game " , stated Dennis Cone, founder/CEO of the PCA.